Americans celebrate Thanksgiving every year on the fourth Thursday of November, since 1621. It is a traditional American holiday and for each family the meaning of Thanksgiving is different. For most people it is that time of the year when you prepare elaborate festive meals for friends and family. It is that time when you forget all the problems and worries and plan to celebrate the day with your loved ones by getting together under one roof for fun. It is the day when you are thankful for the people around you, for the good deeds and for all the happy moments you share with them. Here we have put together nice and delicious thanksgiving dinner ideas you can try this year. Thanksgiving is the time for elaborate and lavish dinners with your loved ones. Thanksgiving brings back the image of a Turkey on the dinner table along with several yummy and tasty foods. The following article will throw light on some of the tasty Thanksgiving dinner ideas that include the traditional and healthy dishes. 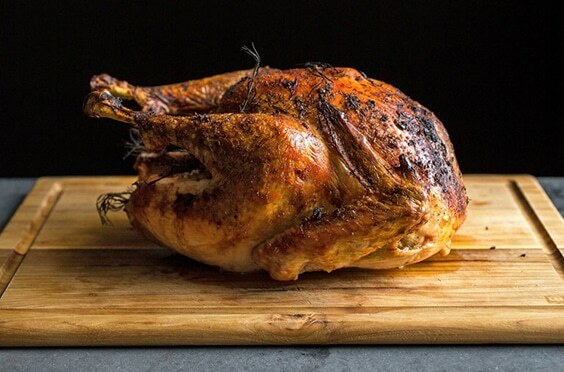 A thanksgiving dinner is never complete without a roasted Turkey. Preheat the oven to 350 degrees F. Melt a small quantity of butter in a pan, add a zest of lemon, a teaspoon of thyme and leave it aside. Take the giblets out of the Turkey and wash it inside out. Clean it properly and pat it dry. Place it in a large pan and apply salt and pepper all over. Stuff the Turkey with thyme, lemon, garlic and onion. Brush it with the butter mixture and add some salt and pepper. Tuck the wing tips under the body of the Turkey and tie its legs with a string. 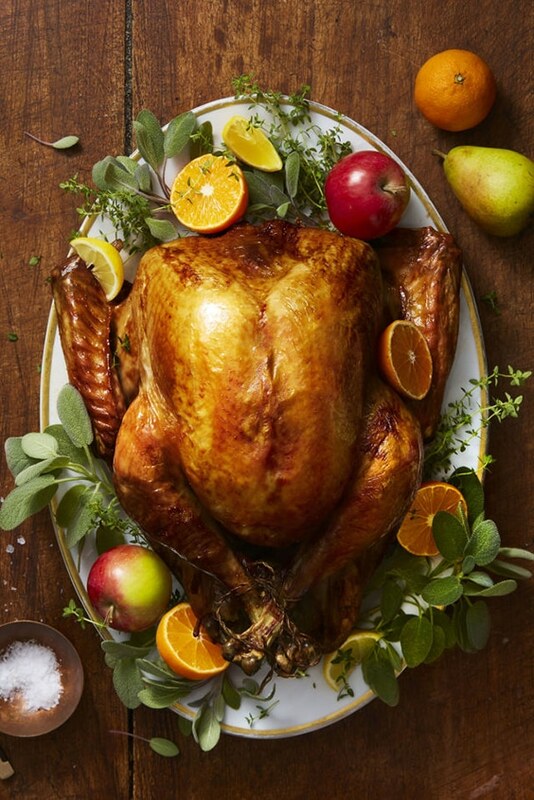 Roast the Turkey for 3 hours or until the juices run when you cut between the leg and thigh. Once done, remove it and cover it with an aluminum foil and allow it to rest for 20 minutes. Slice and serve hot. Mashed potato casserole is the easiest side dish for a Thanksgiving dinner. 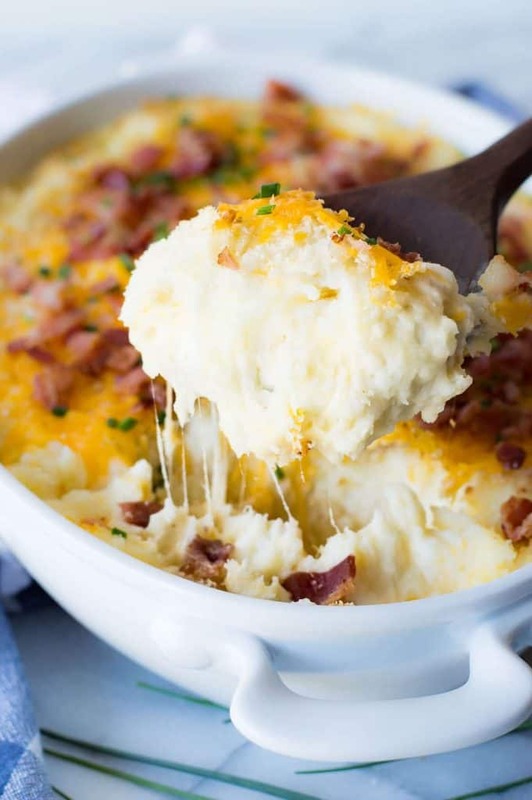 This creamy and cheesy mashed potato is loaded with crispy bacon, chives and yummy cheese. The mashed potato casserole is smooth, creamy, loaded with cheese, crunchy panko bread crumbs, and has a topping of crispy salty bacon and bits of chives for added flavor that it immediately melts in your mouth. You can enjoy them plain or with butter. 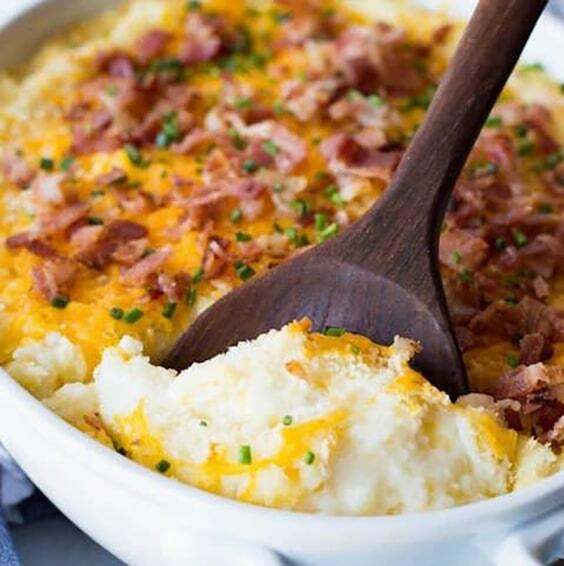 The combination of mashed potatoes with cheese and bacon wins hands down. If you love the flavor of garlic, add garlic and sour cream to increase the flavor. The best part of mashed potato is that you can make them one day before and bake the next day. Salad is an important part of the Thanksgiving dinner. 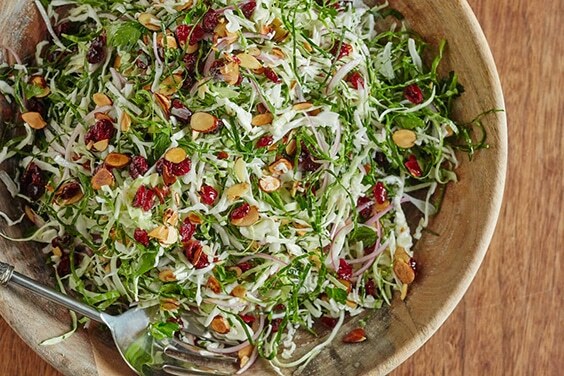 You want your salads to be light, crunchy and refreshing. A good salad is a nice balance for the rich and heavy turkey. However, salads need to be tossed before serving and this will take a lot of time on the otherwise busy Thanksgiving Day. 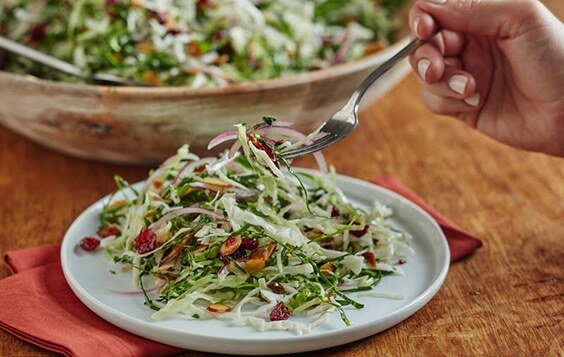 A slaw made from onions, cabbage, almonds, cranberries and parsley will stay fresh and crisp for at least two hours, making it an ideal salad for the Thanksgiving party. Whisk in some vinegar, salt, Dijon and maple syrup along with the above veggies and toss. Taste and season with pepper and salt as required. This is a comforting soup best for the chilly winters. Most comforting foods are rich in calories, but this one is healthy and simple to make. Without adding any cream, this soup has a right balance of texture and flavor. 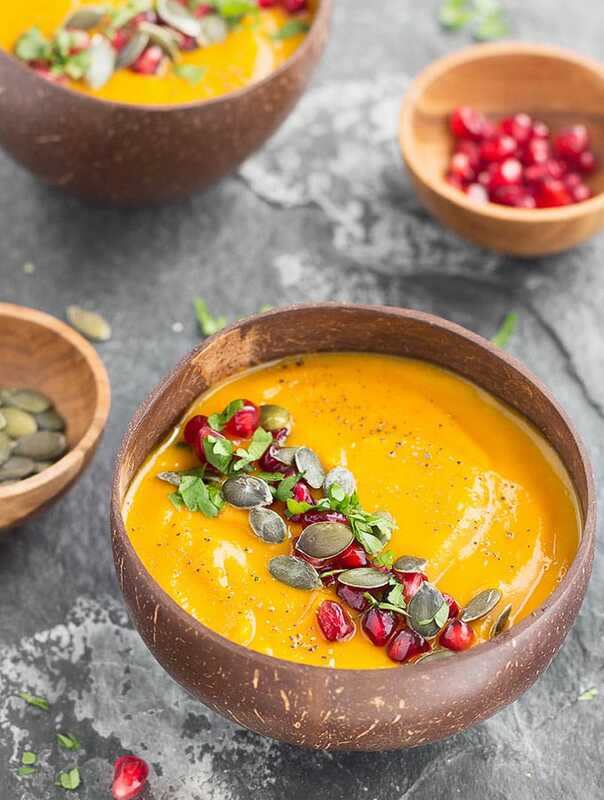 The roasted pumpkin apple soup is sweet, spicy and flavorful. Spread out pumpkin, onion, garlic and apple on a pan. Add some salt, little oil and bake it for 40 minutes. Once cooled, make a puree until it is smooth. Serve it with crunchy pumpkin seeds, pomegranate arils, chopped parsley and freshly ground pepper. Once the roasting is done, the soup takes 10 minutes to be served. 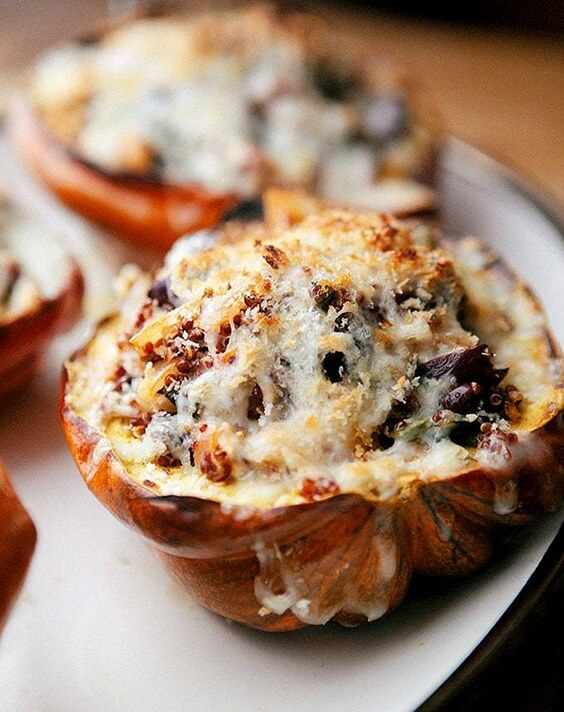 The Greek Stuffed Acorn Squash is one of the healthy Thanksgiving dinner ideas. It is a great side dish full of Greek flavors. 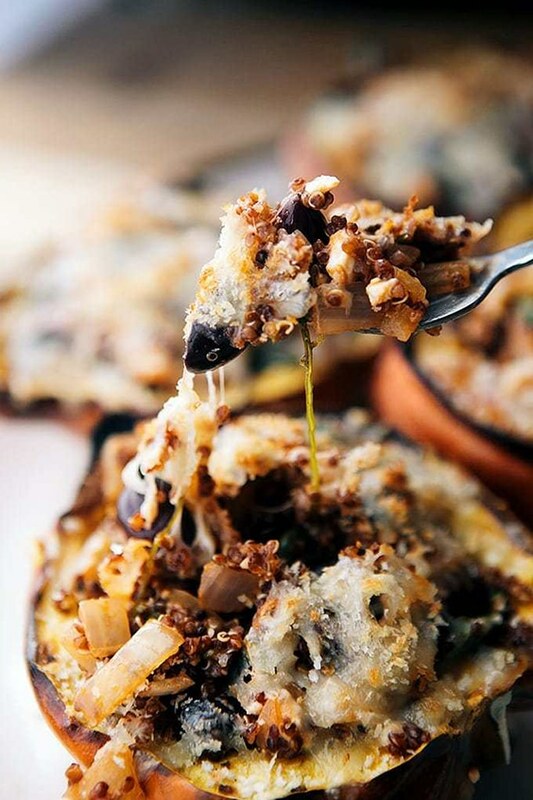 This Greek dish contains ingredients that are healthy like Quinoa, green beans, bread crumbs and cheese. Scrap out all the seeds and pulp from the squash. The other ingredients that go into making this healthy recipe are quinoa, onions and beans. This is a wholesome vegetarian meal on its own, but you can serve it as a side dish. Once cooked the Greek side dish looks yummy and delicious. Kids are sure to love this healthy thanksgiving dish. 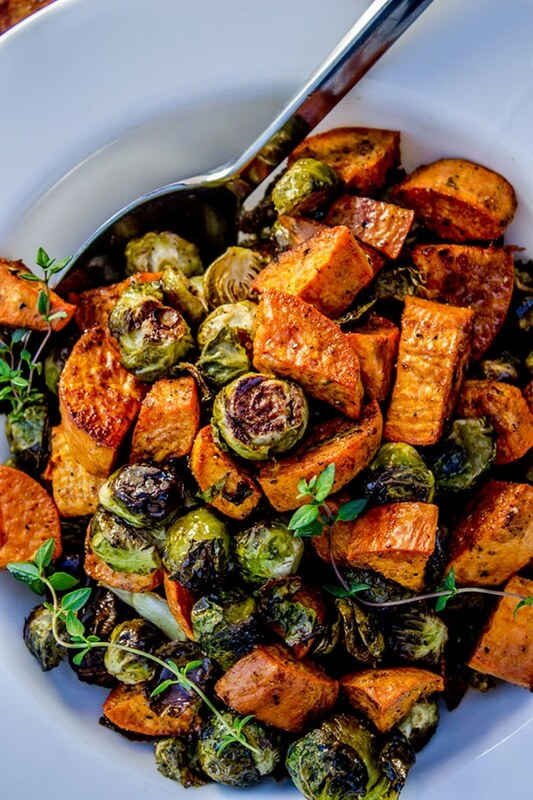 Roasted vegetables like sweet potatoes and Brussels sprouts are delicious anytime. Roasting takes a lot of time, hence it would be wise to get them roasted much before the guests arrive and reheat before serving as it will save a lot of your time and reduce stress. Trim the Brussels sprouts and cut into two, peel and cut the sweet potatoes and add them to a large glass bowl. Pour some olive oil, cumin powder, salt, garlic salt, pepper and coat. Pour all the veggies onto a greased pan and roast at 400 for 45 minutes. The vegetables will be done when they are brown. Transfer them to a serving bowl and drizzle some wine vinegar. Garnish with thyme and serve hot. 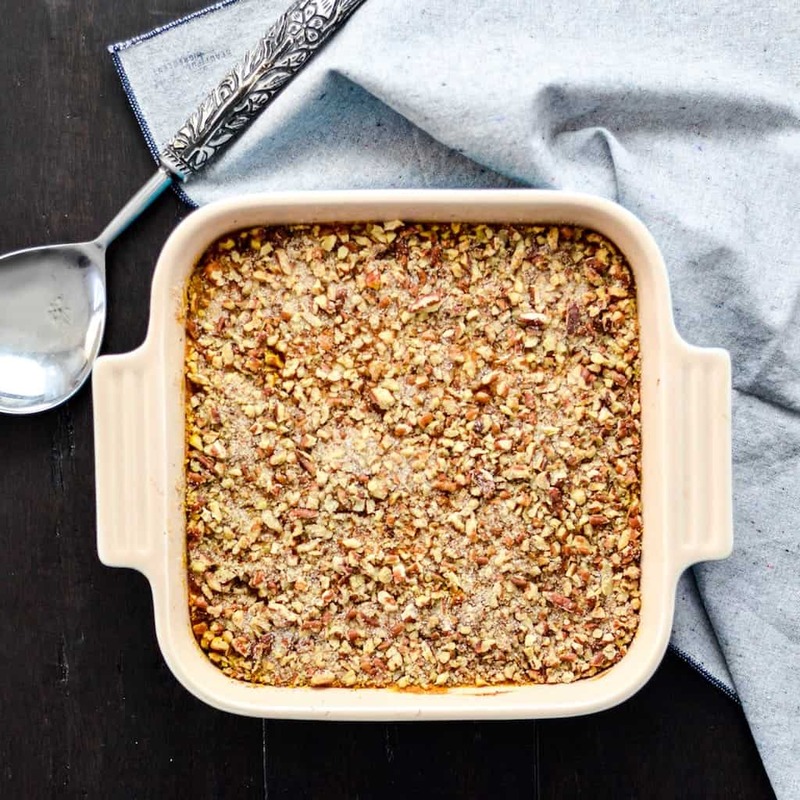 This is vegetarian fare with healthy ingredients like cranberries, quinoa, chickpea and kale. All these ingredients are known to be healthy and some even qualify as super foods. It is full of nutrients and your body will feel satisfied after you have these for your dinner for Thanksgiving. The bright orange color of the squash makes it a through fare that is quite attractive and looks mouthwatering. 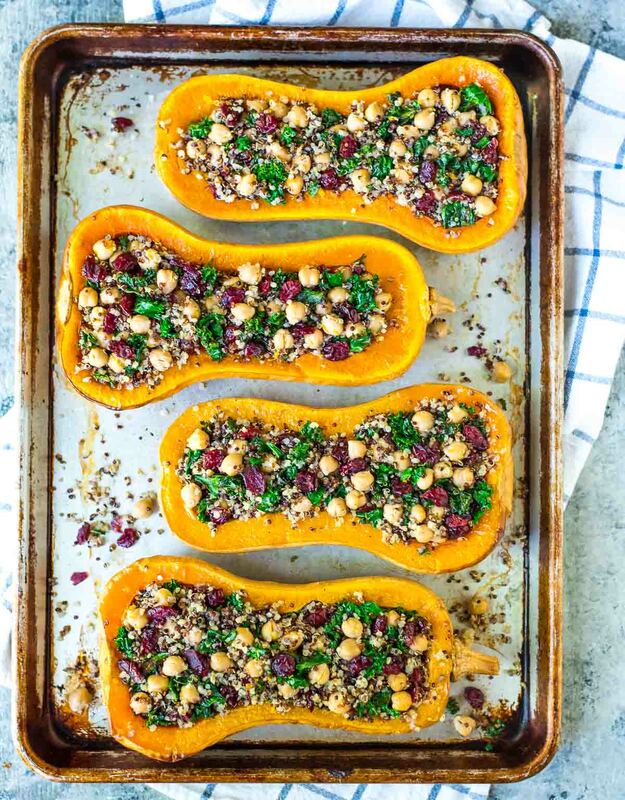 Any leftover squash can be stored and reheated the next day. This Thanksgiving dinner ideas are a plate full of nourishment. The sweet potato casserole is bursting with flavors, is smooth and healthy too. There is no need to add butter, marshmallows and sugar to flavor this dish making it all the more interesting for all the calorie conscious food lovers. 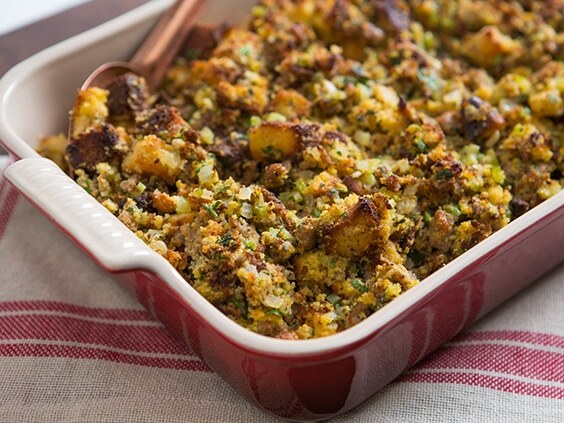 This is one of the healthiest Thanksgiving dinner ideas that one can have without any guilt. 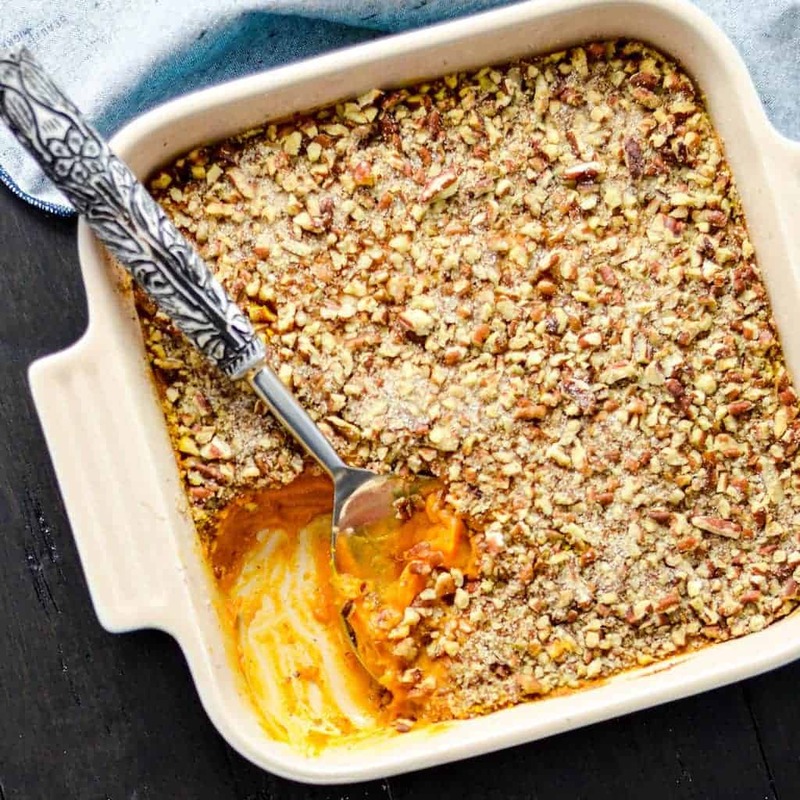 Sweet potato casserole is naturally sweetened with applesauce and spiced with nutmeg and cinnamon. Its nutrition makes it suitable for vegans, as it is gluten free, dairy free and has absolutely no added sugar. Your guests at the dinner are sure to enjoy this healthy treat. This is vegetarian fare with healthy ingredients like cranberries, quinoa, chickpea and kale. All these ingredients are known to be healthy and some even qualify as super foods. It is full of nutrients and your body will feel satisfied after you have these for your dinner for Thanksgiving. 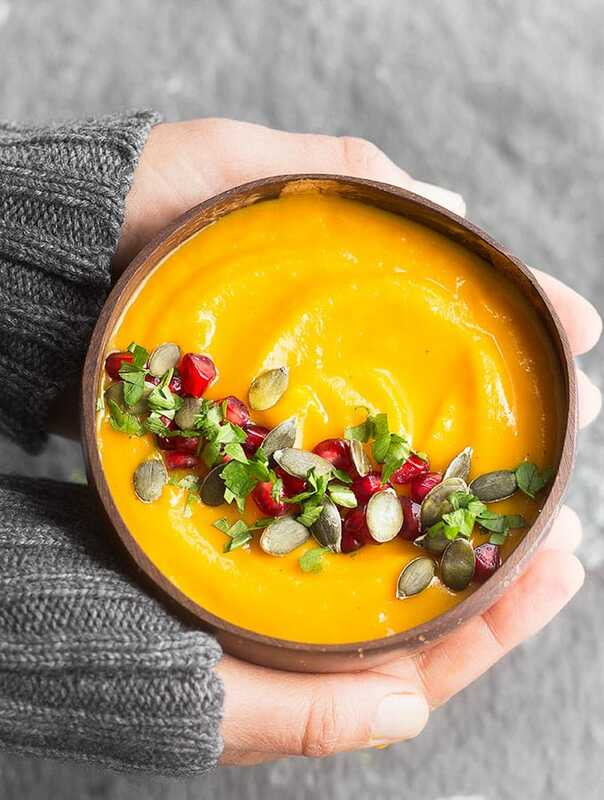 The bright orange color of the squash makes it a thorough fare that is quite attractive and looks mouthwatering. Any leftover squash can be stored and reheated the next day. This Thanksgiving dinner ideas are a plate full of nourishment. Oysters and sausage as a Thanksgiving dinner ideas may not sound great, but it is not uncommon. A lot of people love to add this recipe to the Thanksgiving dinner list. In this cook, raw oysters are chopped and are mixed with toasted and unsweetened cornbread, vegetables, sausage and herbs. The oysters bring in savory flavor and brininess to the dish. 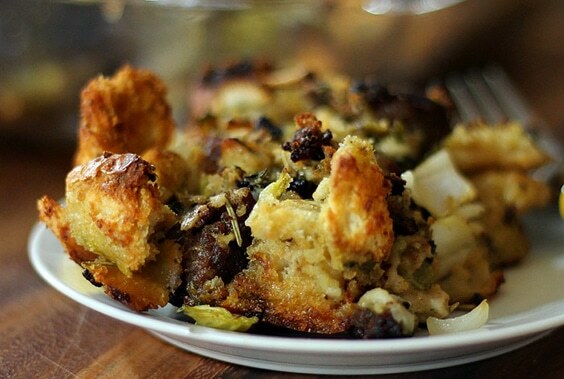 The oysters add a lot of flavor to the stuffing without being too seafoody. The more you dry the bread it absorbs the flavor and moisture of the oyster liquor. This is a heavy dish and even a small serving will fill you up. The whole dish takes just two hours to prepare and will be a nice surprise at your Thanksgiving dinner table. 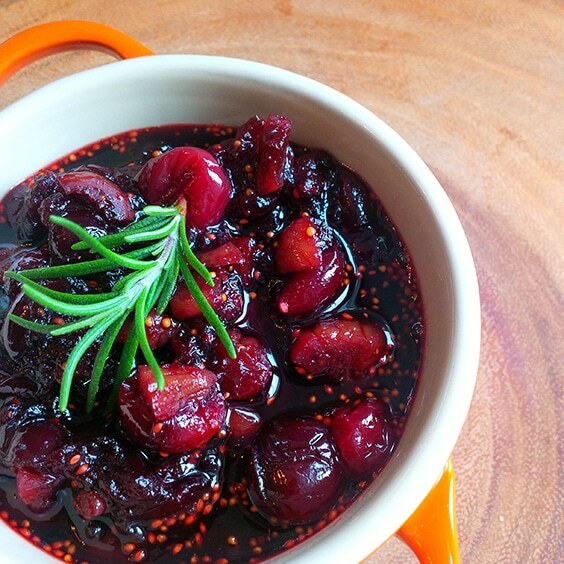 If you love cranberries, then this dish should be in your menu on Thanksgiving Day. 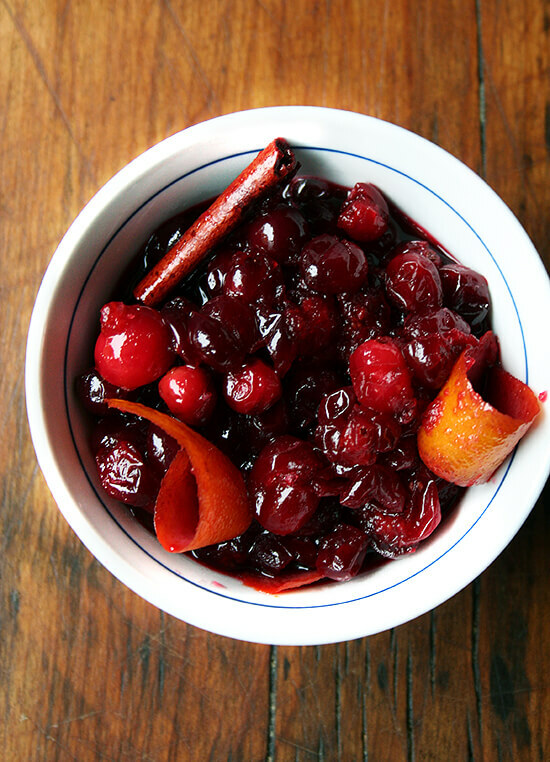 All you need is sugar, dry red wine, cinnamon stick, a pack of fresh or frozen cranberries, and a tablespoon of orange zest. In a sauce pan heat sugar, dry wine and cinnamon until they boil. Reduce the heat and simmer for few minutes with an occasional stir. The whole contents should reduce a bit, and then add cranberries and the zest. Continue simmering for few minutes until the berries turn soft and squishy. Your cranberry sauce is ready. Serve at room temperature or even chilled. 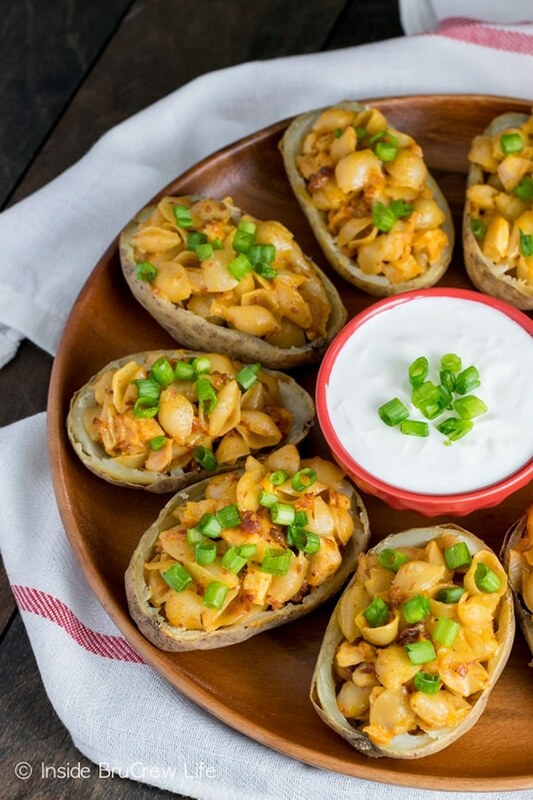 The spicy chipotle shells and cheese potato skins are great appetizers before the Thanksgiving dinner. Mac and cheese is the most commonly found food at homes and kids love them. The chipotle gives a spicy flavor to the food. Add some cooked chicken and bacon to the pasta. 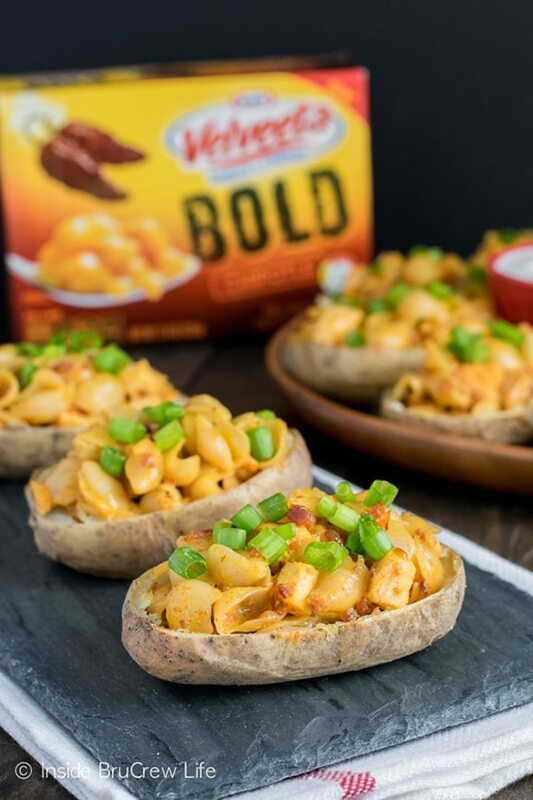 Add some potato skins and cheese to the shells and your cheesy snack is ready. After filling the skins with shells and cheese, place the pan under the broiler to brown the tops a bit. These are a nice appetizer to have while watching your favorite show or even as an appetizer for thanksgiving dinner. 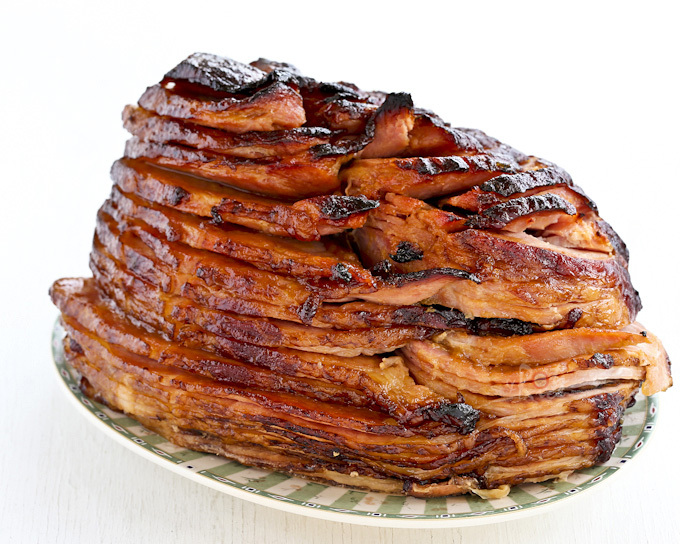 Ham is the most-loved dish on a Thanksgiving dinner table. The slow cooker hams are just great as they are moist and delicious. 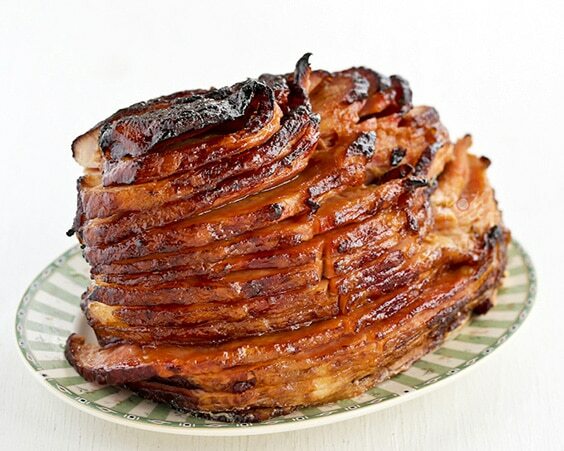 If you are busy with a lot of stuff, then the slow cooker ham is the best. Baked ham is best if you need the center piece, but need more effort compared to the slow cooker variety. The baked ham with pineapple brown sugar glaze is absolutely tasty because of the beautiful caramelization of the glaze making it moist and delicious. This recipe requires very few ingredients like pineapple juice, brown sugar, whole cloves and cinnamon stick, boiled and turned into a thick consistency. This is then brushed onto the ham in the last 15 minutes. Cheese and crackers is a nice treat we all love. 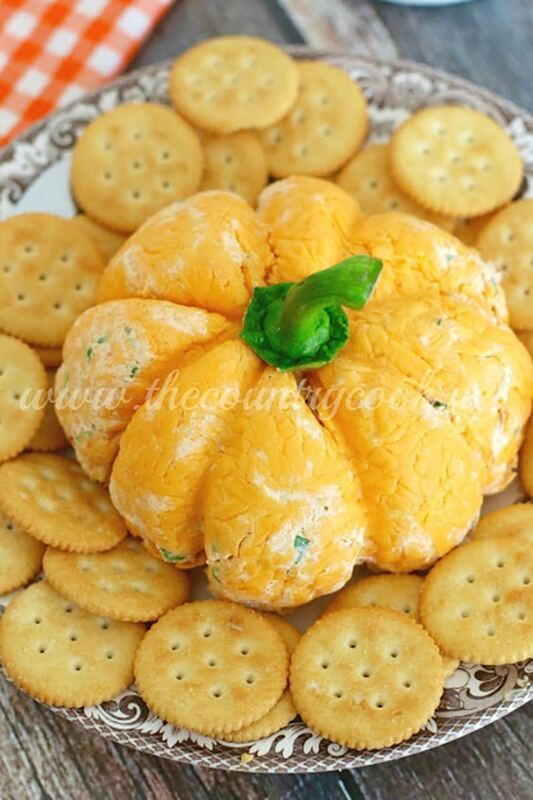 The pumpkin shaped cheese ball requires very few ingredients and is quite simple to make. The ingredients are easily found in the market like cream cheese, vegetable cream cheese, spicy ranch mix, onions, shredded cheddar cheese and pepper. Chop the pepper and onions into small sizes. Mix both the cheeses and mix 2 tablespoon of spicy ranch mix. Add the cut pepper and spring onions to it. Finally, add the shredded cheddar cheese and spread out on a cling film. Spread out 1/4th cheddar cheese on the film before you pour the mix. Sprinkle the cheese on the top as well. Wrap it with a cling film. Finally, wrap with a few rubber bands or string the whole mix and place it in the refrigerator overnight for the flavors to set in. 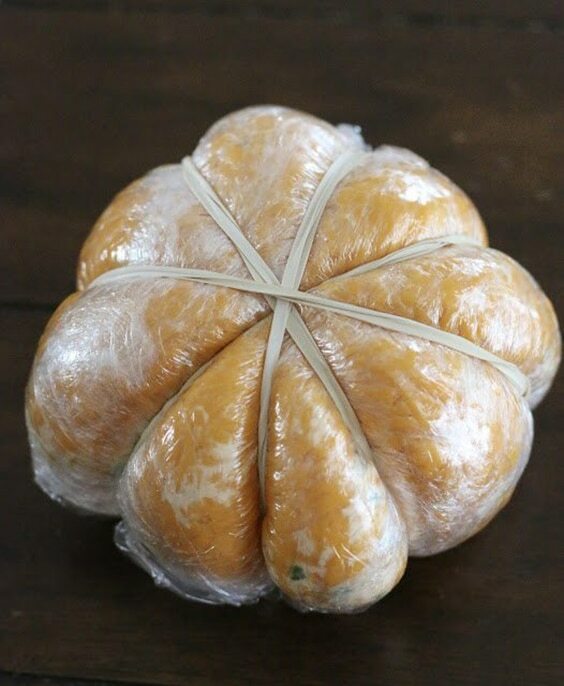 When they are set, carefully remove the string or rubber bands and remove the cling film. Serve with crackers. Thanksgiving dinner ideas include the quintessential Turkey, but the dinner would not be complete if you don’t have Turkey gravy on the menu. 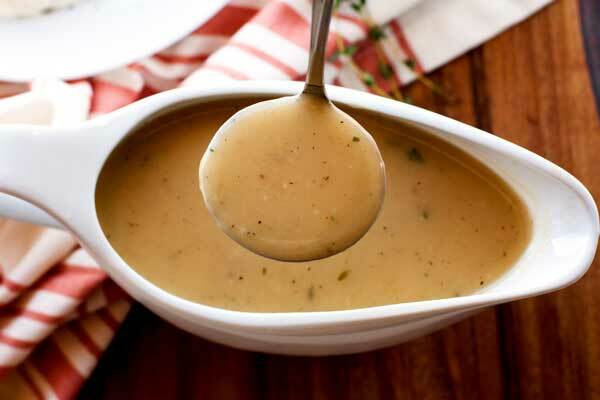 Perfect turkey gravy is extremely simple and easy to make with or without drippings from turkey. For thickening the gravy, you can either use corn flour or flour, whichever is comfortable for you. 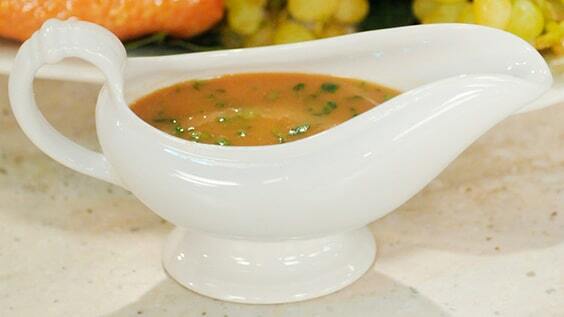 You can make the gravy 10 minutes before serving or make it previously and heat it. Use the drippings or turkey stock. Melt butter in a pan and sprinkle coarse black pepper, then slowly add the flour and keep whisking to combine. You can serve this with turkey or with mashed potato. The southern style green beans are cooked long and slow until they tend to melt in your mouth. You can flavor this dish with bacon. 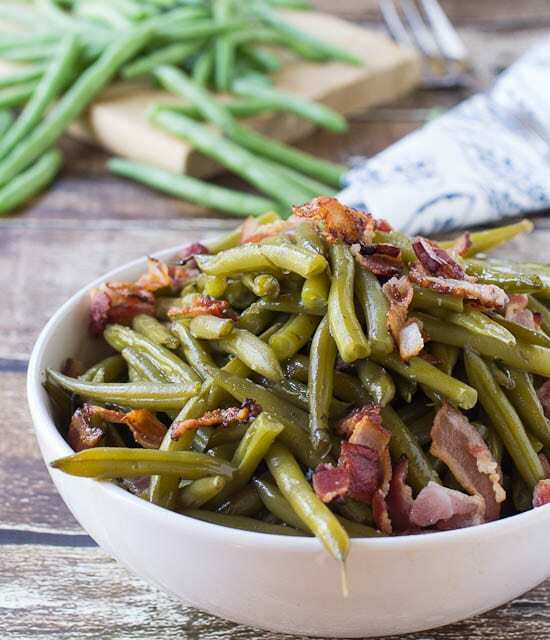 The green beans are cooked slowly in the bacon broth, which adds a lot of flavor to the beans. The dish is much different from the crunchy beans found at restaurants. The bacon grease gets nicely sucked up into the beans along with some garlic powder, salt and chicken broth. This dish can be prepared an hour or two before serving. Make sure the beans are not mushy, but soft enough to melt in your mouth. Before serving, add a teaspoon of butter to increase the flavor. There are numerous Thanksgiving dinner ideas that it is just not possible to make all of them in a day. Proper planning will enable you to prepare the dishes well in time so that you can enjoy the day with your friends or family.